The club moved to a senior division in 1968, stepping up into the Yorkshire Football League Division Two. In 1970, they were moved to the newly formed Division Three and won the title twice in eight years – in 1973 and 1980 – either side of a relegation in 1976. Rangers were founding members of the Northern Counties East League in 1982. After being placed in Division One North, they finished bottom in the inaugural season of the league. A league reshuffle saw Hall Road return to Division One North for the 1984/85 season. Further restructuring saw them in Division Three in 1985/86 and Division Two in 1986/87, where they stayed until 1991 when they won the Division Two title. The NCEL scrapped Division Two that year so all the clubs moved up to Division One. In the 2007/08 season, Hall Road were members of Northern Counties East League Division One. They finished the season as runners up, thereby gaining promotion to the Premier Division. Other honours in Rangers’ trophy cabinet include the East Riding Senior Cup, which they won in both 1973 and 1994, and the Wilkinson Sword Trophy, which they won in 2004, and most recently in 2008. At the back end of 2010, former Bridlington and Frickley manager Billy Heath took over the Hall Road reigns from Martin Thacker, who had decided to focus his energies upon playing, after spending some time juggling both roles. Martin and Billy go back a long way and so it was perhaps written in the stars that Martin would eventually approach his friend with the offer of making his mark as the manager of Hull’s second team. This year will be Billy’s first full season in charge of Rangers, and after some shrewd signings in the close season, everyone associated with the club are confident of success in 2011/12. Following Billy’s departure from the club to pastures new at North Ferriby United, Martin retook over the reins again for a short time along with Jamie Barnwell. Martin again stepped aside to concentrate on his playing career and Jamie took over the role as Chairman in 2012 following the departure of Mark Gregory allowing Andy Foster to take over as Manager of the first team. Under Andy there has been a dramatic change at the club with an emphasis on youth development and progression. Andy Foster remained as first team manager for season 2012/2013 when Rangers first team were relegated from the Northern Counties East League Premier Division. He ultimately resigned as manager at the end of the 2013/2014 season having steered the first team to 11th in division one. At the end of 2012 Jamie Barnwell departed as Chairman and was ultimately succeeded by Jason Cox in March 2013. Jason remained as chairman until January 2014 when Darren Sunley took charge at the top with Jason taking up the role of vice chairman. In May 2014 Lee Hastings took over as Manager of the Rangers first team with high hopes of success. Those hopes lasted just six months however as in early December 2014 Hastings departed by mutual consent. 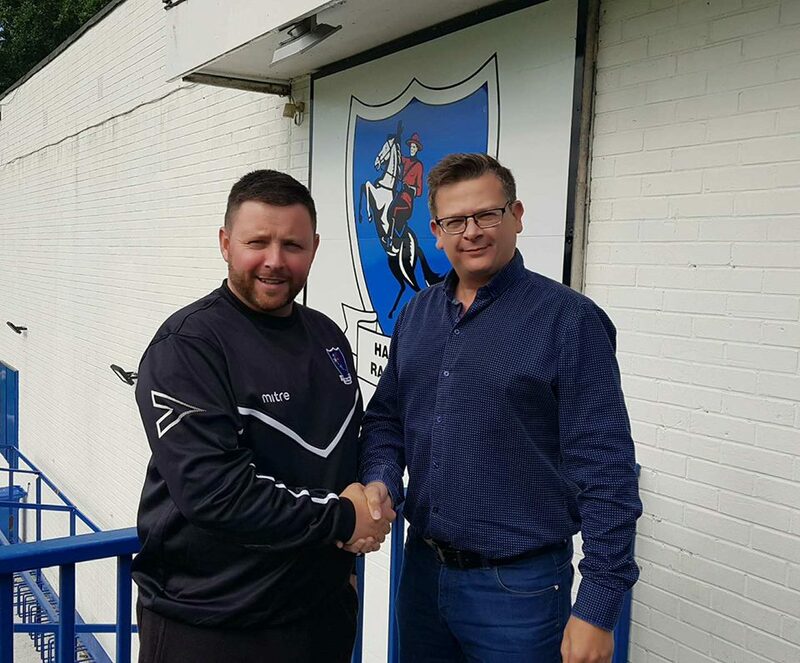 With Darren Sunley at the helm and leading the way a new (old) manager was soon (re)appointed with Hall Road Rangers favorite Martin Thacker soon back as the appointed no.1 for the first team. Martin Thacker lead the team for the 2014/2015 & 2015/2016 but stepped aside at the end of the campaign wanting to concentrate on his sons footballing career. Up stepped another ex Rangers player. Former Beverley Town and Selby Town Manager David Ricardo took over in May 2016 with high hopes and aspirations of taking Rangers up the table in 2016/2017. The club then enjoyed one of its most successful season’s in recent times. 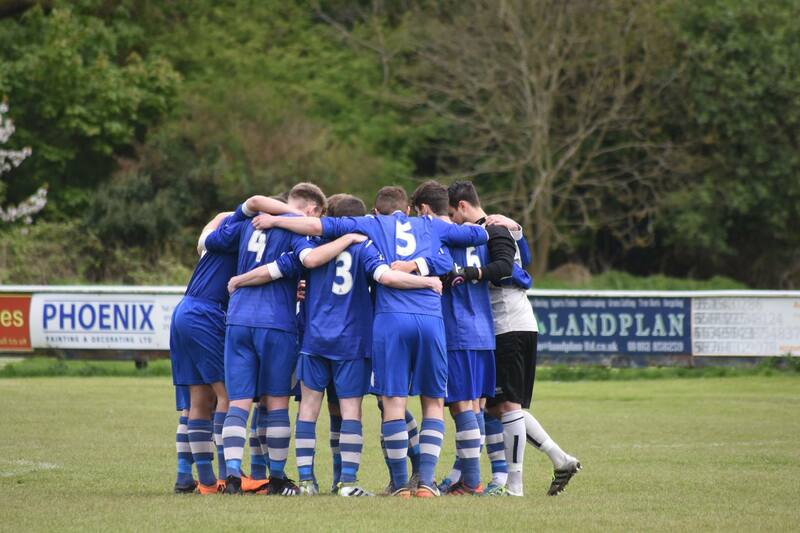 Led by captain Ash Dexter and the goals of leading scorer Chris Spinks, the club won the NCEL First Division title with a memorable 2-1 win on the last day of the season at Campion. Ricardo’s side scored 107 goals and won 30 of their 42 league matches, whilst keeping the most clean sheets then any other team in the regular season. The 2017/2018 campaign will see Hall Road Rangers compete in the NCEL Premier Division for the first time since 2013 and compete once more in national cup competitions, the FA Vase and FA Cup as they look to continue the forward momentum from the previous two years. Their return to the NCEL’s top flight, although started brightly, was dogged with controversy in the latter stages. Dave Ricardo was ousted as manager and he was replaced by the less assuming Bill Gill, as Andrew Watts continued his rise through the ranks which had seen him coach the reserves leading to him becoming Gill’s number two, after a spell as First team coach the year previous. On the pitch, things looked much the same as Rangers bright start saw them into the top half of the table. The club was then hit though with a twelve-point deduction in the new year, which saw them plummet from mid-table into the bottom three of the league table, whilst poor weather saw their winter months schedule ripped apart. However, despite the deduction, and playing four games in a week, sometimes on consecutive nights Gill and Watts, helped steer Hall Road clear, and they survived the drop with four games to spare, a magnificent effort from a squad of players that had shown great togetherness through a hard winter. The 2018/2019 season will likely be one of transition, with a number of younger players graduating through the club’s youth system, an ethos which will be etched into the club’s DNA over the next few seasons.